As a pony rider, Georgie concentrated on Pony Show Jumping. Competing on multiple Home Pony International teams for England. At 15, she made the transition to eventing and in her first season was on the Pony Eventing Squad. Since then Georgie has won medals at Junior and Young Rider Europeans and has competed in over 18 CCI**** including 7 Badminton completions and 7 Burghley completions. 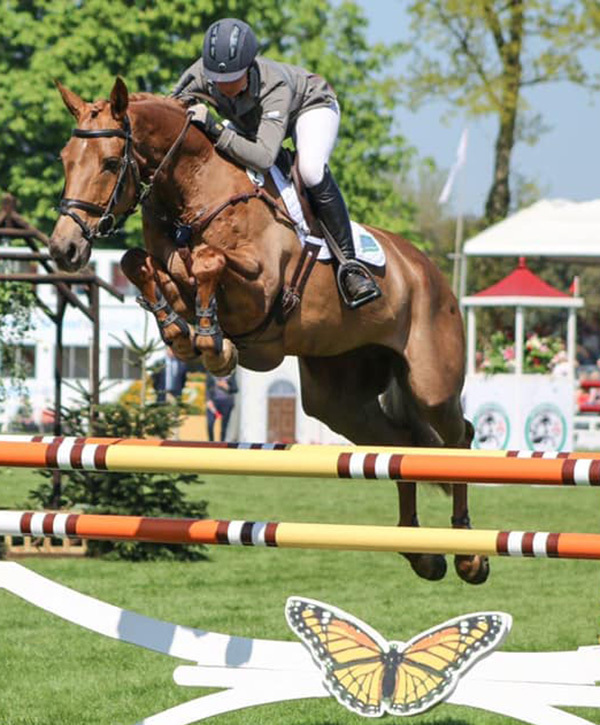 In 2015, Georgie was short listed for the Senior europeans and finished 12th at Burghley with her long time Partnership, Wii Limbo, who she has produced since a 3yo. 2017 was a real turning point for Georgie, adding Halltown Harley to her team of horses, she went on to competed on her first Senior Nations Cup in Austria, and was the overall winner of the CIC*** at Wiener Neustadt, Austria. She then went on to competed on 2 more nations Cup team, winning Team Silver at both competitions. 2018 Georgie added another two Badminton competitions, with clears XC and a top 20 on Wii Limbo. Her first trip to America, to compete in the Nations Cup team, where they won team gold, and individually 2nd, by an agonising 0.1 of a penalty. She then headed to Millstreet where she and ‘Harley’ won their first CCI*** which is a massive career high. A top 20 at another Burghley with Wii Limbo, which was then really topped off my being selected on to the world Class Podium Potential podium.